Plan B have unveiled three new website and booking packages under their Open Rooms branding. The three options which are aimed at the smaller independent accommodation provider have been developed around Plan B's proprietary and purpose built hospitality Content and Destination Management System known as The Claymore Project. The competitive pricing of the packages recognises the challenges facing the smaller operator in a constrained market place where investment in improving services and infrastructure is at a premium. Ian McCaig of Plan B explains, "The pressures on smaller operators is coming from all sides in particular from Online Travel Agents (OTAs) such as Booking.com and others driving prices down and increasing the cost of sales through increasingly high commission levels. The Open Rooms suite of products has been designed and developed to try encourage a Best Book Direct attitude from the operators who can and should be taking more control over everything they can do to increase lower costs DIRECT reservations"
The suite combines full content management with award winning low cost booking engine technology using Bookassist's Web Booking Engine. McCaig continued, "We are particularly aware of the removal of VisitScotland's booking engine in Scotland at the end of December and these solutions are perfect for the operators who are now looking for a long term replacement. We think it's important that businesses consider their strategy before signing up to something that simply says we're FREE - there is always a cost to a booking and providers just have to ask where those costs come in." We strongly believe that the best booking - for both the provider and the guest - is the DIRECT booking and with all of our booking engine clients it is about increasing the reservations through the accommodation providers' OWN sites not traffic through high commission third party sites. It's not easy to break the stranglehold of the big boys when the revenues are so desperately needed but it can be done slowly and surely with good practice." Our Open Rooms suite gives businesses of all sizes the tools to start moving rooms back to DIRECT"
Open Rooms Postcard is a well-designed and update-able micro site featuring a rolling gallery of images and it also includes your contact information, Google Map, and direct links to your social media too! For small accommodation business you can even integrate Bookassist, one of the leading booking engines on the market, into the site to take commission free bookings. On signing up for an Open Rooms Postcard website we will take your logo, images and content and turn it into a search engine optimised, online availability ready, fully content managed webpage and often in less than 48 hours! Our entry level package, Open Rooms Lite 1314, offers the independent accommodation provider all of the flexibility required and you can grow your site as required with our purpose built content and destination management system you can control as much of your online content as you need. Manage and update your content, add image galleries even integrate your social media tools such as Facebook and Twitter and offer fully integrated and offer DIRECT online room bookings - commission free for under ten bedded properties. Based on flexible Open Rooms Frameworks, we design around your colours and logos. You decide on your site content and pages and we build the site for you. You manage all of your content from day one. Your booking engine is integrated into the system with you ready to take commission free bookings from day one. VisitScotland have announced recently that from the middle of December 2012 they will be removing access to their booking engine leaving many smaller accommodation providers with only a few weeks to find a replacement to ensure that they can receive online bookings through the important first three months of 2013. Aimed at the small bed and breakfast and guest house provider this lighter version of the award winning booking engine offers a commission free booking option with a host of top end functions. 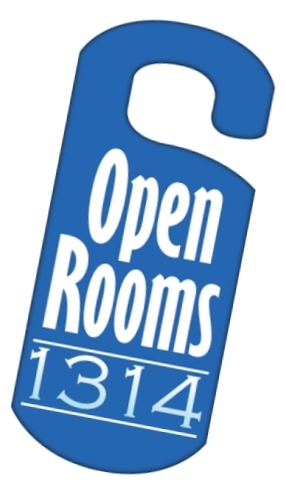 Open Rooms 1314 offers a modified version of the web booking engine aimed at the smaller operator making it easier than ever to manage rates and availability and take reservations DIRECT from their own websites. With only two months to go till the Year of Natural Scotland officially gets underway in 2013, Tourism Minister Fergus Ewing has been urging Scotland’s visitor attractions to get involved. Speaking at the Association of Scottish Visitor Attractions annual conference in Falkirk, Mr Ewing outlined how the twelve months showcasing Scotland’s outstanding natural environment has significant potential to boost visitor numbers. He also met Ellen Walker of the travel company Brightwater Holidays. It is one of the first companies to take advantage of the Year of Natural Scotland branding which features prominently in their new brochure that is to be distributed across the UK. The Year of Natural Scotland is the next of the Scottish Government’s Focus Years showcasing some of our best known tourism assets as we progress towards our second Year of Homecoming Scotland in 2014. The Year of Natural Scotland follows the Year of Food and Drink, the Year of Active Scotland and the Year of Creative Scotland. "The Year of Natural Scotland provides us with an excellent opportunity to make the most of Scotland’s magnificent natural heritage and increase visitor numbers in the process. "I am encouraging everyone at home and abroad to discover or rediscover Scotland by getting out and seeing some of our world renowned scenery, wildlife and other natural attractions which will boost business and enhance both the local and national economies. "Tourism attractions across the country can get involved by using the toolkit which is available on VisitScotland’s website and by thinking now about how they can make the most of this opportunity. Brightwater Holidays is already on board and I know many others are doing the same. "The Focus Years have been a great success and the figures speak for themselves. Over half a million people attended events and activities celebrating the Year of Food and Drink, we saw a 6 per cent increase in "active" participation levels during the Year of Active Scotland and the messaging around the Year of Creative Scotland has already reached almost 70 million people across the globe. "Together we can build on this success for the Year of Natural Scotland and keep the momentum going for the second year of Homecoming in 2014 when Scotland will take centre stage in world terms as host of two of the largest events in the world, The Commonwealth Games and the Ryder Cup." Mike Cantlay, Chairman of VisitScotland, said: "The Year of Natural Scotland is a great opportunity for Scottish tourism businesses to showcase exactly what this country has to offer. It is great to see that, already, we are seeing businesses such as Brightwater Holidays seizing the initiative and highlighting the Year of Natural Scotland. I would encourage all Scottish tourism businesses to think about ways that they, too, can get involved and take advantage of this unique celebration. Not only is the Year of Natural Scotland about putting Scotland’s stunning landscapes on the world stage, it is also about boosting the visitor economy and putting cash in the tills of tourism businesses throughout Scotland." "The Year of Natural Scotland is the perfect timing for Brightwater Holidays to launch its new marketing division under the brand Brightwater Scotland. "We have built up an enviable reputation over the last 20 years for our personable service and a range of Scottish Holidays that is second to none. Our Scottish Garden Holidays, Island Breaks and Archaeological Tours are the perfect fit for The Year of Natural Scotland. "We are delighted to launch Brightwater Scotland - in association with Visit Scotland and the Year of Natural Scotland 2013." Good news for Scottish tourism (and business) that Virgin Atlantic will launch multiple daily flights between London and Scotland from next March after it successfully bid for all the slots British Airways was forced to relinquish following its takeover of BMI. BA and Virgin will now go head to head on flights between London Heathrow and Edinburgh and Aberdeen for the first time. Virgin, which will lease aircraft with crew from a third party airline to operate its new domestic network, said further details would be announced within the next two weeks. Virgin Atlantic's chief executive Steve Ridgway said: "We have fought hard for the right to fly short haul and take a strong challenge to British Airways within these shores. For 28 years both airlines have battled for customers all over the world and it has meant that British consumers have ultimately had some of the world's best flying and lowest fares. "This is the beginning of an exciting new era in Virgin Atlantic history and we now feel a responsibility to everyone that has supported us in this challenge. Passengers can look forward to a great short haul service with us but most importantly reap the benefits from the re-injection of vital competition we can provide on these routes." The airline said the new routes, to launch around March 31, will complement its new Manchester to Heathrow route it is also introducing next year. Flights will be operated by a narrow-bodied A320. BA, which already flies between Heathrow and Scotland, was forced to give up some of its take-off and landing slots from Heathrow to Edinburgh and Aberdeen as well as to Cairo and Moscow, for rival airlines following its takeover of BMI, which was the only other airline flying the same routes. Lufthansa is believed to have been the only other airline bidding for the Heathrow to Edinburgh and Aberdeen slots, but Virgin lost its bid for slots to Moscow, which went to easyJet (see earlier story). Plan B are delighted therefore to offer a range of booking engine and integrated website solutions powered by award winning online reservations specialists Bookassist. It reminded us that we undertook an online survey last year of all things (dis)connected across Scotland. The results were neither positive nor surprising and we can't help but think that in spite of the words about improving connectivity we still haven't grasped the importance to the tourism sector. Why would you bother creating a Mobile Version website if twenty minutes out of our airports the site cannot be accessed; what point apps if your iPhone can't connect. Telephone the office? 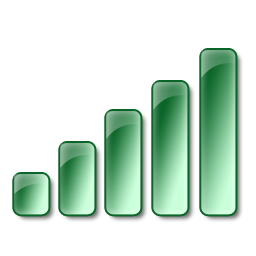 Even in some of Scotland's top business hotels you can't get a mobile signal apart from an area of 24 square feet at the far end of the car park. Anyway worth having a wee look at the results gathered last year. Scottish travel agents believe a single airline should be awarded the slots British Airways has been forced to give up following its takeover of bmi in order to provide strong competition on key Scottish routes to London. A survey by the Scottish Passenger Agents' Association found that 97% of agents felt this would be "the best deal" for Scottish air passengers. This new research published today finds overwhelming support for a single airline to compete with British Airways on routes between Aberdeen and Edinburgh to Heathrow. The survey of travel agents follows a recent EU decision forcing BA to relinquish 12 of its 'slot-pairs' (daily return flights) as part of its acquisition of bmi earlier this year. Seven of these slot-pairs are reserved for the flights between Aberdeen and Edinburgh to Heathrow. Airlines interested in operating these available slot-pairs have submitted business applications to the EU and Scottish passengers will find out in early December which airline(s) has been awarded the routes. So far, only Virgin Atlantic and Aer Lingus are believed to have submitted bids. The survey also found that an overwhelming majority (93%) of respondents would be "very concerned" that fares could rise if no airline was selected to operate the 'slot-pairs' on either route. 80% of travel agents said that airlines that cannot demonstrate the "ability to offer convenient connecting flights from Heathrow to popular long-haul destinations" should not be offered the slot-pairs. The survey is based on responses from over 30 Scottish travel agent companies polled in October. SPAA president Kevin Thom said ''Of course, as leisure and business travel providers we work closely with British Airways and other existing Anglo Scottish carriers, but we also recognise that Scotland and its travellers really need this additional capacity. "We are confident that Virgin Atlantic's plans are well-conceived and their commitment long-term and we support their view that the slot-pairs must be allocated en bloc - to make the services both viable and sustainable. Above all, we firmly believe Virgin Atlantic's presence on the Anglo-Scottish routes would strengthen, stimulate and expand the market for all airlines operating here and encourage Scots to travel more and further. "Virgin Atlantic has already lodged a bid to take over the daily slot-pairs at Heathrow. The SPAA is very supportive of this bid by Virgin Atlantic to operate services between Heathrow, Aberdeen and Edinburgh, which would result in it having the ability to target both point-to-point UK domestic passengers, as well as connecting opportunities to key global destinations." Today's new research follows the publication of a letter signed by five MSPs, sent earlier this month to EU decision-makers, highlighting their own concerns about the decision. In the letter, organised by Brian Adam, the MSPs say that "in a worst-case-scenario, close to 2m passengers each year on the Edinburgh and Aberdeen - Heathrow routes would be left with absolutely no passenger choice." In the letter to Commissioner Joaquín Almunia the MSPs added that the decision, which rests with the EU, should "offer Scottish passengers a strong alternative to British Airways" on the Aberdeen and Edinburgh to Heathrow routes, which currently carry 1.8m passengers each year. They say just one airline should be awarded the available slots to ensure robust competition to BA - "we'd counsel ... a single airline that will operate services across both the Edinburgh and Aberdeen - Heathrow routes, enabling it to build a competitive pan-Scotland air network." From April 2013 BA will retain eight daily return flights between Aberdeen-Heathrow and 12 between Edinburgh-Heathrow. So even if one airline is awarded all 12 slot-pairs and then splits them, say, 50/50 between the Aberdeen and Edinburgh routes they will still face a significant competitive disadvantage. "This would then be further exacerbated if the available slot pairs were split between a number of new entrants" according to the MSPs. 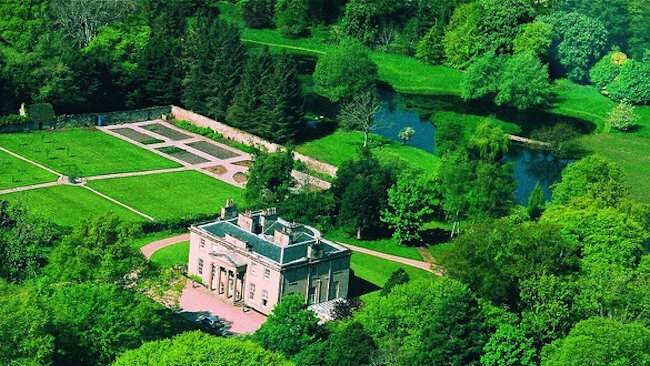 Boath House, a member of the Connoisseurs Scotland family of properties, has been named “Scottish Hotel of the Year” in the 2013 edition of the Good Hotel Guide. The publication, which is the leading independent guide to hotels of character and quality in Great Britain and Ireland, annually is sues its prestigious César awards, known as the “Oscars of the hotel industry.” Winning properties are listed in the 2013 edition of the guide, which became available in print starting Oct. 8 and which can be seen online at www.goodhotelguide.com. The guide annually nominates 10 hotels for its awards, which are named for celebrated hotelier César Ritz. Boath House was a labor of love for owners Wendy and Don Matheson, who acquired the property in the 1990s and set about transforming it into the warm haven it is today. They’ve ensured that the eight-room, family-run boutique hotel offers the highest levels of service and attention to detail. Desmond Balmer of the Good Hotel Guide commended the Mathesons for creating “a feeling of warmth at their historic Regency mansion.” The property was further acknowledged by the guide for the efforts of its manager, Jonny Ross, and Chef Charles Lockley, who oversees the Michelin-starred restaurant. Boath House is located in the Highland town of Nairn, near the cities of Inverness and Elgin, on Scotland’s northeast coast. Built nearly 200 years ago, the Georgian mansion is set on 20 acres of manicured gardens, well-tended lawns, woodlands and streams. A two-acre ornamental lake on the grounds is home to brown and rainbow trout, swans, wild geese and ducks, and a bog garden is occupied by such pond life as newts, frogs and dragonflies. The town of Nairn, located just 7 miles from Inverness Airport, is an area of outstanding natural beauty. It’s easily accessible to castles, whisky trails, Loch Ness, 30 golf courses, the Moray Coast, and Cairngorm National Park. Boath House’s restaurant boasts one Michelin Star and four AA Rosettes, making it one of the four best restaurants in Scotland. Much of the produce it serves is either sourced locally or grown in Boath House’s own kitchen garden, which provides organic fruit, herbs and vegetables. The honey served on property comes from Boath House’s own hives, and eggs are from pet bantam hens. Local suppliers provide the highest quality seafood, which is caught and delivered daily by West Coast fisherman; meats and cheeses are sourced from a nearby organic dairy. The Association of Scottish Visitor Attractions (ASVA), which represents the interests of the key visitor attractions sector in Scotland, will be holding its annual two-day Autumn Conference at the Inchyra Grange Hotel, Falkirk from 15th – 16th November 2012. The conference will be opened by Fergus Ewing MSP, Minister for Energy, Enterprise & Tourism, who will talk about the Scottish Government’s vision and strategy for tourism in Scotland and the crucial role that visitor attractions play in this. Keynote speakers include Judith Owens, Operations Director for Titanic Belfast, who will talk about the operational challenges involved in opening and running such an iconic building and the motivational tactics used to drive her team to achieving world class customer service standards; Pete Jackson, Co-Founder of Earthy and Ewan McCarthy, Creative Director of Bright 3D, who will explain how interpretive techniques can be used to add drama and theatre to retail operations; Jenny Hess, Head of Customer Insights at Historic Scotland, who will describe how customer feedback can inform the strategy for growth as well as provide valuable benchmarking information on performance against other operators; and Hilde Bergebakken, Sustainable Tourism Manager with Destination Roros, who will talk about how a small former copper mining town and World Heritage Site in Norway, attracts over 1 million visitors every year without compromising its sense of place. Breakout sessions focusing on ‘Understanding Your Visitor’, exploring how visitor feedback can be used to inform and develop business strategy, and ‘Visitor Experience’, highlighting on how staff and volunteers can help ensure a first class experience, will give delegates the opportunity to ask questions and listen to individual case studies. Following the Breakout Sessions, an Awards Ceremony will celebrate the best of the visitor attractions sector in Scotland. The awards this year will include presentations in the categories of ‘Best Marketing Campaign’ and ‘Best Visitor Experience’, and will culminate with the ‘Rising Star’ award, which acknowledges young people who have made a significant impact on the tourism industry. Andrew Johnson, Chair of ASVA said: “The ‘legacy’ theme of this year’s conference has particular resonance with the outstanding success of the London Olympic and Paralympic Games. We’ll be asking what lessons the visitor attractions sector can learn - not just from the vision of the athletes but also the delivery and legacy of the Games. Our speakers will highlight how having a vision of what you want to achieve can bring real business benefits and will use their own experiences to inspire delegates as well as pass on practical tips that they can take back and use in their own business”. Councillor Adrian Mahoney, the convener of leisure, tourism and community at Falkirk Council, said: “We’re delighted to welcome ASVA’s annual conference to the Falkirk area for the first time. The event brings together industry experts from all over the country and gives us a chance to showcase the fantastic facilities we have in the local area.